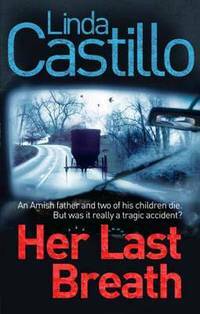 Castillo, Linda – Her last breath 5* What at first seems like a tragic, but routine car accident suddenly takes on a more sinister cast as evidence emerges that nothing about the crash is accidental. But who would want to kill an Amish deacon and two of his children? Delaney, Luke – The toy taker DI Sean Corrigan has always relied on his unique insight into dark minds to catch bad guys. But now, when he needs it most, his gift seems to have deserted him. Sean and his team have been moved to New Scotland Yard, precisely so his particular brand of policing can be put to best use. Now four-year-old George Bridgeman has disappeared from leafy Hampstead and Sean, bogged down in admin and logistics, can see no clear path through the investigation. Another child vanishes. How long before abduction becomes murder? Hall, Patricia – Blood brothers 1963. A badly mutilated corpse is discovered on the site of the new Centre Point Tower currently under construction in London’s West End. With fingers and toes severed, it has all the hallmarks of a gangland killing. But Detective Sergeant Harry Barnard isn’t convinced. Meanwhile, a key witness has disappeared before the upcoming trial of East End gangster Georgie Robertson. Is there a connection? This entry was posted in Book Reviews, Books and tagged Book Reviews, Crime, new books. Bookmark the permalink.